When you shoot events and parties in Los Angeles, you never know what you might see. In this case, it was one of the most beautiful ballrooms ever. 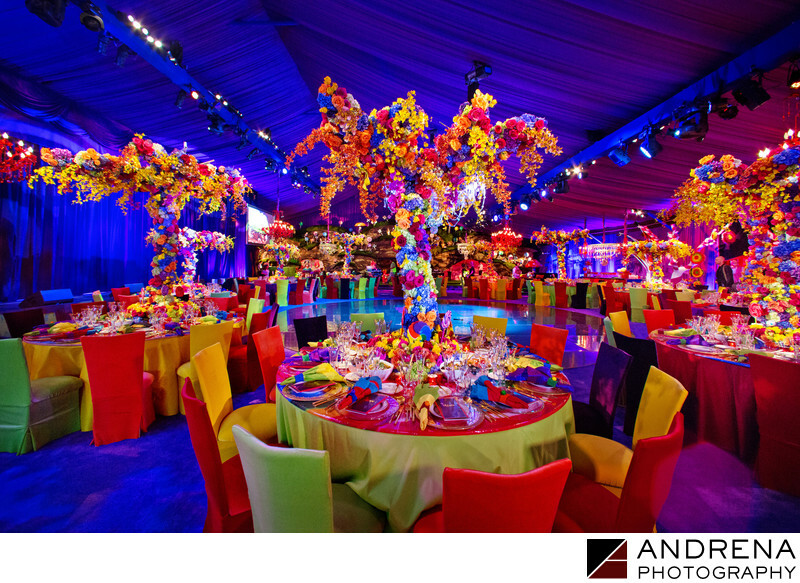 Sonia Sharma Events and Revelry Event Designers teamed up to create this colorful wonderland, which was published in Grace Ormonde Wedding Style. The stunning flowers were provided by the creative team at The Empty Vase Florist.